Description: Bad Caf Concert Tour Guitar Pick. Reverse side is signed by guitarist. 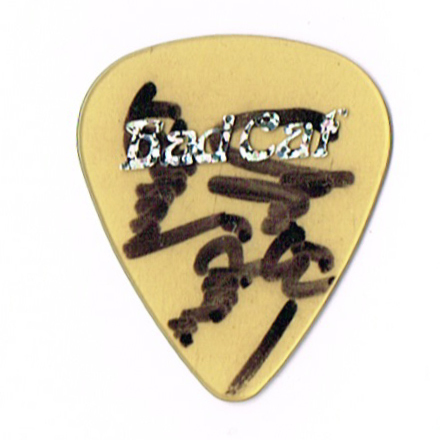 Description: Bang Tango Kyle Stevens Concert Tour Signature Guitar Pick. 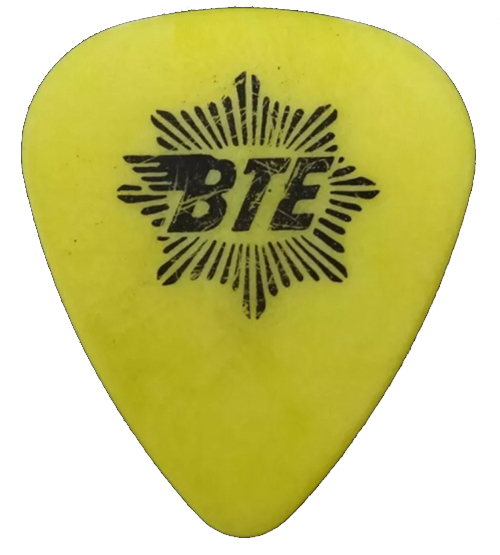 Description: Better Than Ezra Concert Tour Guitar Pick. Description: Big Rich John Rich Concert Tour Guitar Pick. Description: Billy Dean Guitar Pick. Description: Black Label Society Zakk Wylde Concert Tour Guitar Pick. Description: Black Label Society Zakk Wylde Skull Concert Tour Guitar Pick. Description: Blink 182 Concert Tour Guitar Pick. Description: Blues Traveler Concert Tour Guitar Pick. Description: Brand New Machine Darrin Wise Guitar Pick. Reverse side band logo. Description: Brad Paisley Guitar Pick. Reverse side Ernie Ball logo. Description: Britny Fox Billy Childs Concert Tour Signature Guitar Pick. Reverse side band logo. Description: Bruce Hastell Planet Waves Concert Tour Signature Guitar Pick. Reverse side Planet Waves logo. Description: Bruce Hastell Denny Laine Project Concert Tour Signature Guitar Pick. Description: Buckcherry Concert Tour Guitar Pick. Reverse side Ernie Ball logo. Description: Buckcherry Yogi Concert Tour Guitar Pick. Reverse side Ernie Ball logo. Description: Buckcherry Concert Tour Guitar Pick. Reverse side Ernie Ball logo. Red! 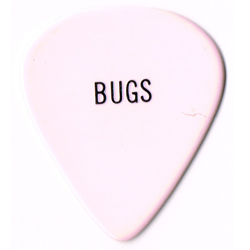 Description: Bugs Henderson Pinkish Concert Tour Guitar Pick Imprint. 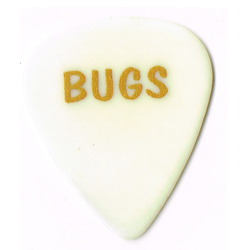 Description: Bugs Henderson Gold Lettering Concert Tour Guitar Pick Imprint. 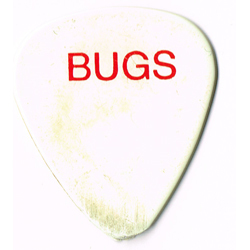 Description: Bugs Henderson Red Lettering Concert Tour Guitar Pick Imprint. Stage Used.